Join us for a non-contact Fitness class that incorporates calisthenics, Kettlebells, Yoga & more! Using circuits, strength training and agility drills you can increase your cardiovascular fitness, muscle tone and develop strength. Our Fitness class is designed for people of all fitness levels and is open to people of all fitness levels. Take a Trial Class Today! Schedule: Mon, Weds, Friday 9 – 9:45am. Class cards & monthly unlimited packages available. “I love this energetic ‘express’ class. It’s early enough in the morning that I can actually make it to class without something getting in the way. By 10am I have done something REALLY good for myself. Clare is experienced and fun. I love that she will give a variation so that I can always adjust and keep up! 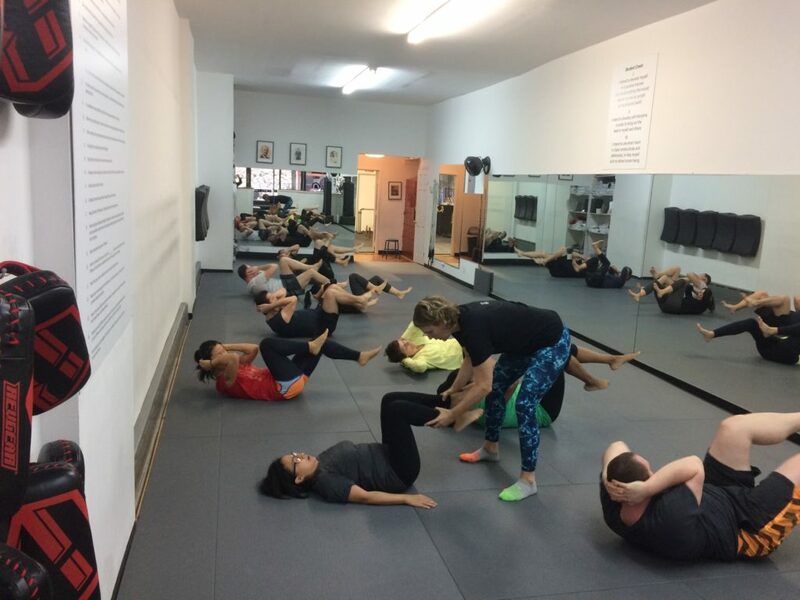 Fun way to start my day in a super positive environment… not to mention great music!” ~Sarina R.
“I am three weeks into the Fitness class, going 2-3 times/week and already see the change – much more mobility, endurance & strength, and I live my days more conscious! 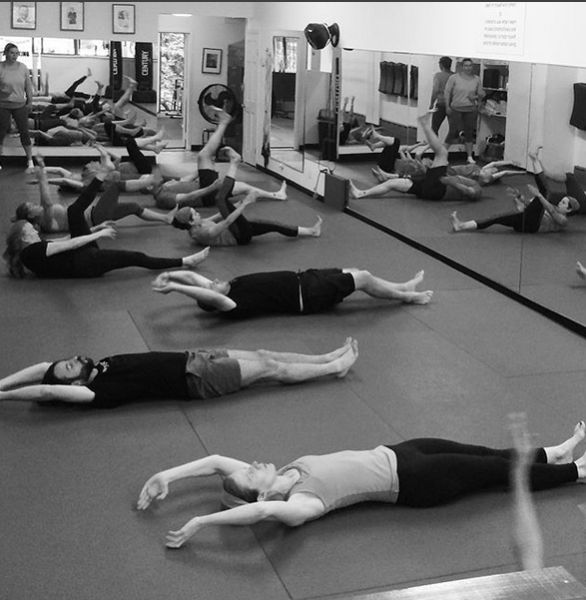 The class has people all of ages & fitness levels – and yet seems to fit everybody. The instructor Clare manages to challenge everybody to their level & motivates us to rise to our personal best. The exercises are the perfect combination of cardio, strength & mobility – quite fast paced but very mindful and clear to understand. I get personal attention where needed and always feel welcome. The class ends with a a few minutes of calmness and mindfulness – for me the perfect way to transition back into my daily life duties. I didn’t expect the class to carry over into my days as much – I am physically fitter, but also live much more conscious in body posture & mind… It has been great! And the playlist Clare puts on is an added bonus..” ~ Gesa R.
“I love the Fitness Express at Sun Dojo – a perfect balance of cardio, strength training and mobility. Clare, the instructor, is as positive and energetic as she is knowledgeable, meeting each person at their starting level, providing high and low impact alternatives as well as modifications on exercises when necessary. Her encouragement, attention to form, as well as reminders to smile, make working with her a pleasure…as does the steady progress you feel! 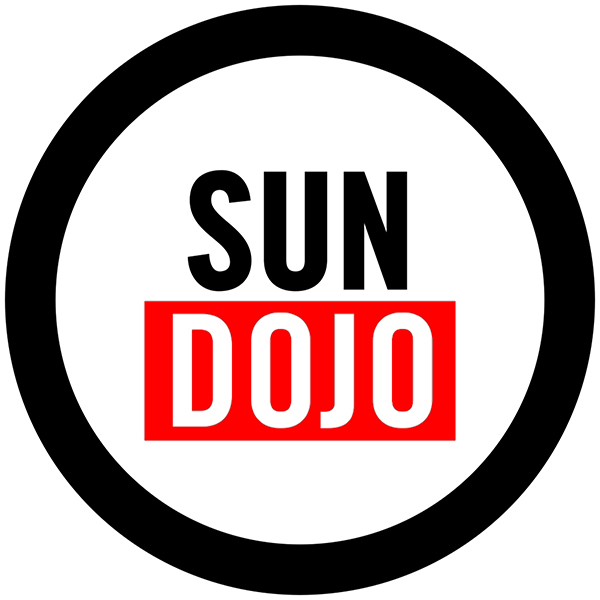 Sun Dojo has created a supportive, non-competitive community where people of all ages can work toward their personal best; so glad to have them in the neighborhood!” ~ Laine V.